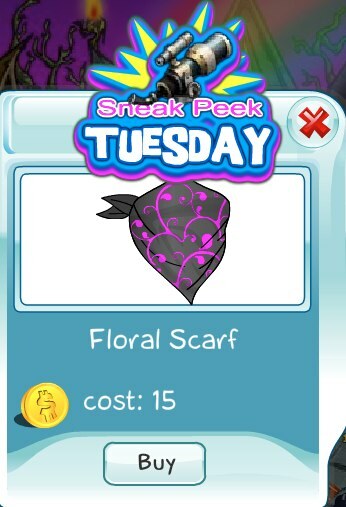 This week's Sneak Peek Tuesday feature is the Floral Scarf. This fancy black scarf with purple floral pattern is great for all you fashionistas in SecretBuilders. Get this hot item today before the sneak peek ends.